During Cincinnati Holy Week Mercy Missions, as a missionary, you will touch the lives of others by doing works of mercy. There are 4 different tracks: high school students overnight, college students, young professionals and families - see each track detail below. THE HS BOYS TRACK IS FULL! STEP 2: Payment for Young Adults. During this traditional "Good Friday Cross Walk", missionaries walk the streets of Cincinnati by doing simple acts of mercy such as sharing words of hope & love to a homeless, a kind smile to a stranger in need, may be your presence alone could spark one soul to get closer to Christ, possibly ignite a Catholic to come back to the Church, or bring hope as your request a prayer intention. 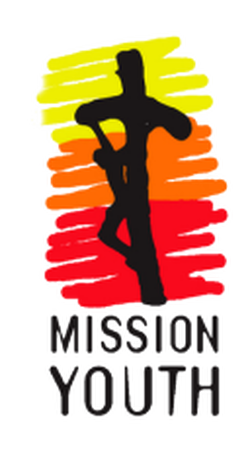 Holy Week Mercy Missions are brought to you by Mission Youth and Regnum Christi. They take place in many cities around the USA and the world-yes, it is that awesome! You don't have to travel far to be a missionary! Step out of your own home and come join us!